Early last month we wrote about the various efforts of lawmakers to ensure treatment on behalf of the millions of Americans battling with substance use disorder and other forms of mental illness. A small breakdown of pieces of legislation intended to expand access to treatment and life-saving medications (e.g. naloxone and buprenorphine) was provided to illustrate the importance of such bills in response to a nearly two-decade old opioid addiction epidemic. While the Comprehensive Addiction and Recovery Act (CARA) and the 21st Century Cures Act are just the latest attempts to provide millions of Americans with the care they need, the Affordable Care Act (ACA) was designed to ensure that everyone had coverage for health care. It wasn’t that long ago when insurers could deny coverage, due to pre-existing conditions such as mental illness, examples being depression or addiction. Under the ACA, millions of people who were historically denied coverage could be approved for coverage via the open market, the exchanges or Medicaid expansion. Regardless of which way anyone leans politically, it is public knowledge that efforts are underway to dismantle, replace or repeal the Affordable Care Act. A task that has visibly proven to be difficult. It is also public knowledge that millions of Americans could lose coverage under the proposed alternatives to the ACA. So here is where things stand currently, and please keep in mind that this is just a presentation of where it appears things are heading, not a vote of support or a denouement. Last week, the majority House of Representatives presented the first part of a new healthcare plan. Naturally, there are many different opinions floating around what is now called the American Health Care Act (AHCA). So far, the list of concerns regarding the proposal has been topped by what appears to be a serious change in how Medicaid, which covers some 70 million Americans, will be funded, if the AHCA moves forward. What’s more, it would also affect roughly a million Americans whose mental health disorder treatment is covered under Affordable Care Act's Medicaid expansion, STAT reports. It is worth noting that Medicaid pays for 1 out of every 4 prescriptions for Suboxone (buprenorphine). 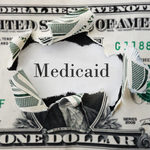 The expansion program required that states which jointly funded Medicaid with money from the Federal government, offer strong mental health and addiction treatment coverage for those who enrolled under the expansion. The AHCA would do away with that requirement by 2020. In addition, currently there is an open-ended federal commitment to pay whatever is necessary for Medicaid, under the AHCA states would receive a set amount of money from the Federal government for each person, according to the article. This could lead to Medicaid enrollment cuts and fewer benefits, especially among patients who are considered to be high-cost, such as people living with addiction. Some states, those who rely heavily on Medicaid to cover the cost of mental health treatment and medications like buprenorphine, have a lot to lose. Medicaid pays for nearly half of those prescriptions in Ohio. Keeping in mind that we are in the throes of an opioid addiction epidemic, the proposed plan could mean that millions of Americans will lose access to coverage for treatment, flying in the face of what CARA and the Cures Act aimed to provide.